The Treasury Department sanctioned four members of Hezbollah on Thursday. The United States sanctioned four senior members of Hezbollah on Thursday for their alleged roles in facilitating terrorist activity in Egypt, Syria, Iraq, Yemen and other countries. The Lebanon-based Shiite organization, which is a member of the Lebanese government, has already been branded a terrorist group by the United States. "Whether ferrying foreign fighters to the front lines of the Syrian civil war or inserting clandestine operatives in Europe, the Middle East, and elsewhere, Hezbollah remains a significant global terrorist threat," said David Cohen, Treasury undersecretary for terrorism and financial intelligence. Those sanctioned include Khalil Harb, who once headed a unit dedicated to terror activities in countries surrounding Israel, Treasury said. EDITOR'S NOTE: This is the latest in a series of stories and opinion pieces previewing the upcoming Aspen Security Forum. Security Clearance is a media sponsor of the event which is taking place from July 17-20 in Aspen, Colorado. Follow the event on Twitter under @aspeninstitute and @natlsecuritycnn #AspenSecurity. 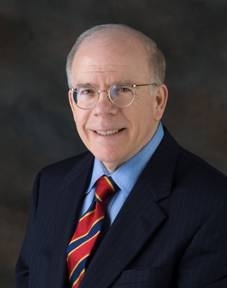 John McLaughlin was a CIA officer for 32 years and served as deputy director and acting director from 2000-2004. He currently teaches at the Johns Hopkins University's School of Advanced International Studies and is a Non-Resident Senior Fellow at the Brookings Institution. Terrorism experts inside and outside the government have been caught up in a debate about how close we may be to defeating al Qaeda and associated groups. As events have demonstrated so vividly in recent years, we are living in an era of continuous surprise, making this one of those questions that cannot be answered with confidence. Interconnected, loosely-structured organizations are run by a series of al Qaeda affiliates scattered across the arc of South Asia, the Middle East, and North Africa. Some declare fealty to Osama bin Laden’s successor, Ayman al-Zawahiri, while others merely take inspiration from the legacy his organization represents. Will U.S. military support in Syria make a difference? Even as the Obama administration refuses to openly say whether CIA deliveries of small arms and ammunition to Syrian opposition fighters has begun, there is increasing doubt in many quarters that U.S. shipments will make much of a difference in fighting on the ground, as the intelligence picture for the rebels grows more dire. "I don't believe the rebels are doomed, but I don't think there's any doubt that on the battlefield the advantage is clearly with (Syrian President) Bashar al-Assad," Sen. John McCain, R-Arizona, said Thursday on CNN's Situation Room. "Why wouldn't there be? Tons of Russian equipment coming in, the Iranian Revolution Guard, jihadists from all over the region, 5,000 Hezbollah fighters and he's still calling it a civil war. What it is turning into is a regional conflict and the deciding factor on the battlefield is air power," McCain said. Intelligence assessments appear to agree with that. 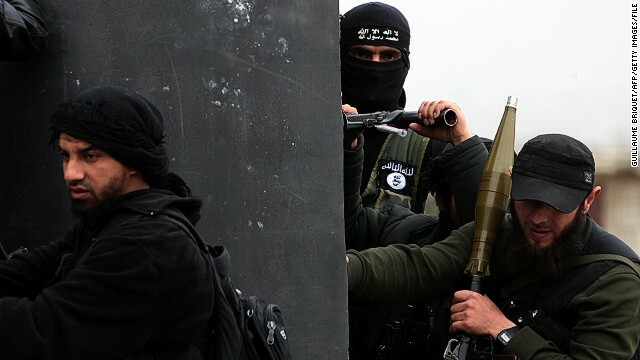 Several U.S. officials CNN has spoken with say simply trying to gather the latest information on the number of fighters and weapons inventories on the ground is now a major priority. The Obama administration is calling for European countries to restrict Hezbollah's ability to operate by adding the group to the European Union's terror list, citing the Lebanon-based group's involvement in the deadly attack last year in Bulgaria. The president's national security adviser Thomas Donilon wrote in an op-ed published in the New York Times on Monday that Europe "can no longer ignore" the threat that Hezbollah poses. "European governments must respond swiftly. They must disrupt its operational networks, stop flows of financial assistance to the group, crack down on Hezbollah-linked criminal enterprises and condemn the organization's leaders for their continued pursuit of terrorism," Donilon wrote in the item headlined "Hezbollah Unmasked." One White House official told Security Clearance the op-ed was the "next step in a line of efforts" to stop Hezbollah, including "considerable work" with the EU, Israel and other countries. 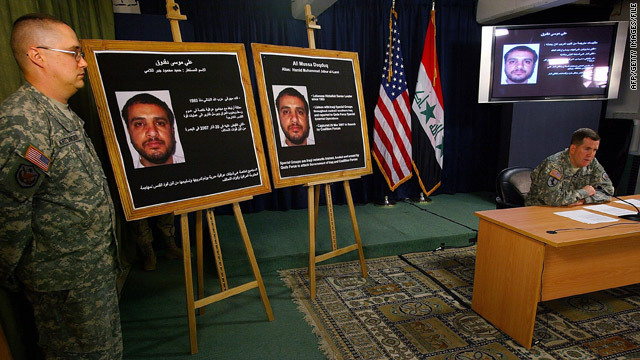 Ali Mussa Daqduq, a Lebanese militant accused of involvement in the murder of several U.S. soldiers in Iraq, was released by Iraqi authorities Friday morning, Daqduq's lawyer, Abdulalmehdi al-Mutairi, told CNN. Daqduq has arrived in Lebanon, his lawyer said. "Thank God, he arrived in Lebanon a few hours ago after he left Iraq this afternoon" al-Mutairi told CNN. "There is no legal reason for his detention. He should have been released months ago". An Iraqi court cleared Daqduq in May, saying there wasn't enough evidence against him, an official with Iraq's judicial council told CNN. The automatic appeal following that ruling affirmed the acquittal in June, according to al-Mutairi. U.S. officials say Daqduq organized a kidnapping in the Iraqi city of Karbala in January 2007 that left five U.S. soldiers dead. Defense Secretary Leon Panetta spoke with Israeli Defense Minister Ehud Barak this week about the latest Israeli military moves in Gaza after increased rocket attacks from there. A senior U.S. defense official confirmed the conversation had taken place in the last few days while Panetta was traveling in Asia. "They spoke about unacceptable attacks by Hamas and other groups in Gaza, and Panetta expressed the U.S. view that Israel has the right to defend itself," the official said. Right now, the United States largely believes the situation will remain contained between Israel and Gaza, according to U.S. and Israeli officials CNN has spoken with. There is a belief that Hamas will pull back its rocket attacks, avoiding a full-blown Israeli air and ground assault into Gaza. Israeli forces are going after Hamas weapons and storage bunkers near the Israeli border as part of the attacks in Gaza, an Israeli official told CNN. Israel also expects to hit weapons labs and workshops, said the official, who has direct knowledge of Israeli plans but declined to be identified because of the sensitive nature of the information. The Israeli army is moving nearly a division's worth of troops - perhaps 1,500 to 2,000 - to the border and will move into Gaza if Hamas continues its rocket attacks on Israel, he said, even as airstrikes already have begun. Further air and any ground operations, he said, would be against Hamas weapons and leadership. Israel says it's been hit by 800 rockets fired from Gaza so far this year. 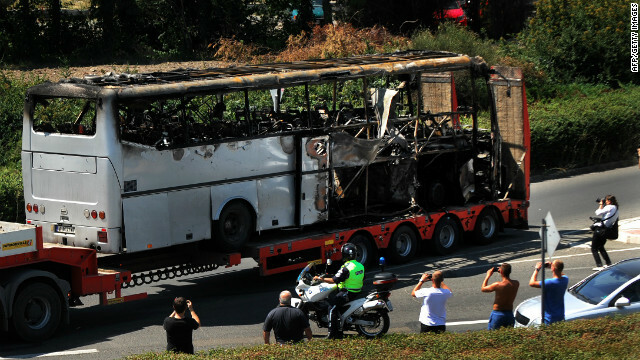 The official said that's twice as many as were fired in 2011 and three times as many as in 2010. Israel estimates there are still 12,000 rockets in Gaza and that 1.5 million Israelis are in striking range. Hamas, the Israeli official said, can strike as far as Tel Aviv with portions of its inventory. He said that Hamas elements in Gaza fired more than 100 rockets this week. Federal officials said Monday that they had seized $150 million as part of a crackdown on a money laundering scheme linked to the Lebanese militant group Hezbollah. The seizure came following a complaint filed in December of last year alleging that the now-defunct Lebanese Canadian Bank laundered money for Hezbollah-controlled groups around the world. The U.S. State Department has designated Hezbollah as a terrorist organization. U.S. officials say that between 2007 and 2011, Lebanese Canadian Bank and other financial institutions routed at least $329 million in proceeds from drug sales and other criminal activity to the U.S., where this money bought used cars that were later sold in West Africa. These proceeds were then funneled back to Lebanon via Hezbollah-controlled channels, the Drug Enforcement Administration said in a statement. US Secretary of State Hillary Clinton attends a press conference in Istanbul, on August 11, 2012. Fresh sanctions slapped by the United States are meant to "expose and disrupt" links between Iran, Lebanon's armed Hezbollah movement and Syria, US Secretary of State Hillary Clinton said Saturday. 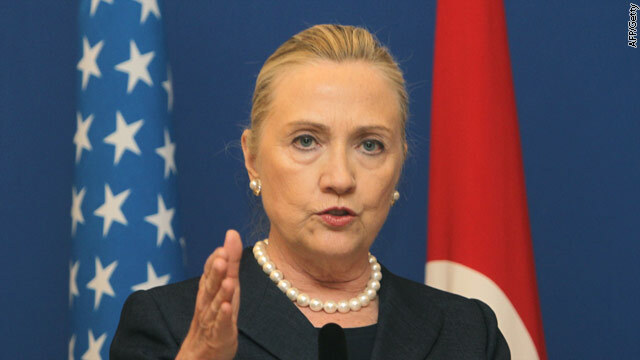 ISTANBUL, Turkey (CNN) - Secretary of State Hillary Clinton said Saturday the United States would start to develop contingency plans with its Turkish allies in the event that the embattled Syrian regime collapses. Her announcement in Istanbul came 17 months into an escalating crisis that has claimed more than 17,000 lives and forced an estimated 150,000 refugees to flee into neighboring nations, including Turkey, which is hosting 50,000 people. "There is a very clear understanding about the need to end this conflict quickly, but not doing it in a way that produces even more deaths, injuries and destruction," Clinton said after talks with her Turkish counterpart, Foreign Minister Ahmet Davutoglu. Hezbollah, the Lebanese-based Shiite militant group, and its patron Iran continue to pose serious terror threats around the world, a senior U.S. official said on Friday. "Our assessment is that Hezbollah and Iran will both continue to maintain a heightened level of terrorist activity and operations in the near future," and could launch attacks "with little or no warning," Assistant Secretary of State Daniel Benjamin, the State Department's counterterrorism coordinator, told reporters in a conference call Friday. "We have not detected any operational activity of the group in the United States," Benjamin said of Hezbollah's activity. "They certainly have been the subject of law enforcement actions in the past primarily for fundraising and illicit activities related to that, but we do not have any information on operational targeting or anything like that in the U.S., but that said, it's a very ambitious group with global reach." 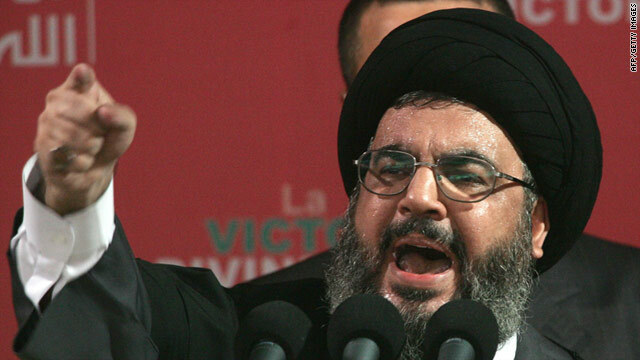 Hezbollah leader Hassan Nasrallah has overseen the group's efforts to aid the Assad regime the Treasury Department said. 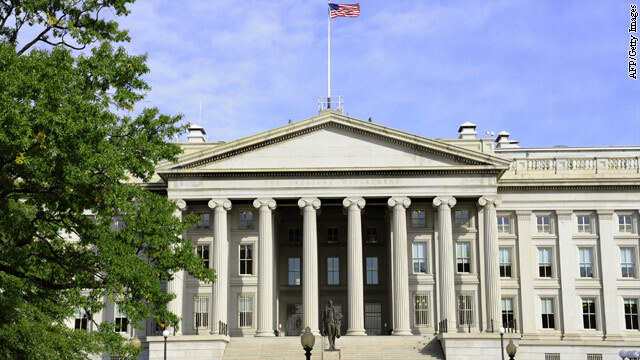 The U.S. Treasury Department on Friday announced an extension of sanctions against Hezbollah, a Lebanon-based Shiite militant group, for its support of the Syrian government. Hezbollah, which the United States has long designated a terrorist organization supported by Iran, has provided training, advice and extensive logistical support to President Bashar al-Assad's military campaign against an uprising that began last March, the department reported. The agency accused the group of directly training Syrian government personnel inside Syria, and facilitating the training of Syrian forces by the Quds Force, an elite unit of Iran's Revolutionary Guard Corps. "Hizballah's extensive support to the Syrian government's violent suppression of the Syrian people exposes the true nature of this terrorist organization and its destabilizing presence in the region," Under Secretary for Terrorism and Financial Intelligence David S. Cohen said in a written statement announcing the sanctions.